In 2009 I moved across the country from my family. 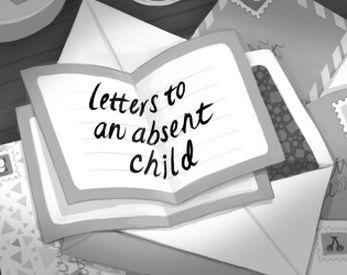 Letters to an Absent Child is a zine about how this has affected my relationship with my mother. It's inspired by Animal Crossing - by the letters you will occasionally receive from your in-game mom. The cover was illustrated by Susan Lau. Thanks to Ben Urkowitz for converting to PDF.